(NaturalNews) Grocery stores, restaurants and shopping malls in the Sacramento area are harassing, threatening and calling the police on volunteers with the #SB277Referendum, a petition launched by Libertarian Tim Donnelly in July that would immediately halt the recently passed forced vaccination law in California. Several grocery stores, including Trader Joe's, Whole Foods, Safeway and Vons, as well as Panera Bread and the Promenade Shopping Mall at Sacramento Gateway, have made it extremely difficult for petitioners, who are working tirelessly to reach their goal of 366,000 signatures by September 28. If the goal is reached, the vaccine mandate will be placed on Californian's November 2016 ballot. The referendum's success continues to soar as 4,000 volunteers across 45 counties work diligently to collect signatures. Click here to find out where you can sign or volunteer. Over the past few weeks, there have been at least 10 instances of businesses attempting to kick petitioners off public property, calling the police and threatening to have them charged with trespassing. 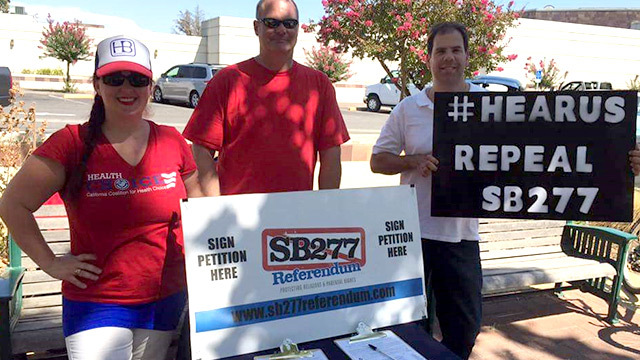 "Keep Calm and Know Your Rights"
Although the SB277 volunteers have been collecting signatures on "public squares" near popular businesses, they have still been told to leave, despite carrying a legal document that proves they are acting within California law, as well as the U.S. Constitution. One of the latest examples includes an incident that occurred at Trader Joe's when an SB277 Referendum volunteer was simply standing on the corner next to the grocery store waiting for her colleague when she was told to leave. You can watch footage of the incident here. 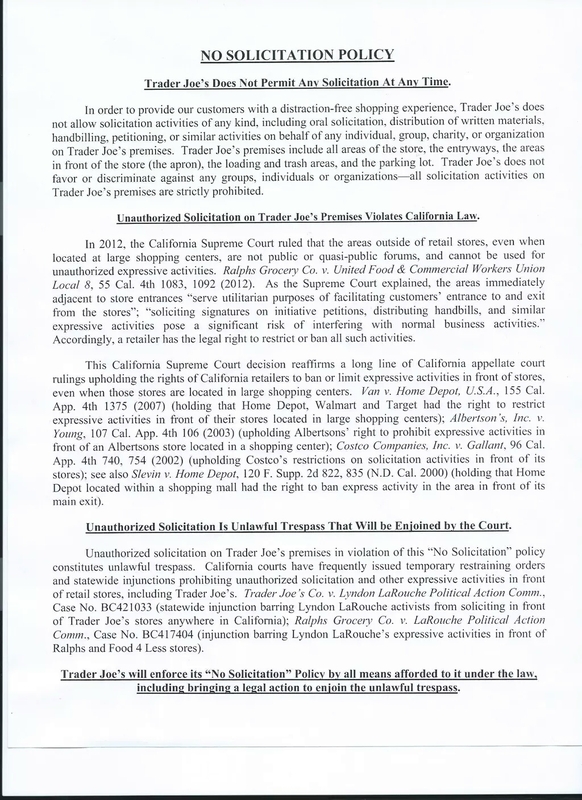 Trader Joe's called the sheriff, citing a "No Solicitation Policy" (you can view here)"; however, upon arrival, the police sided with the petitioners. 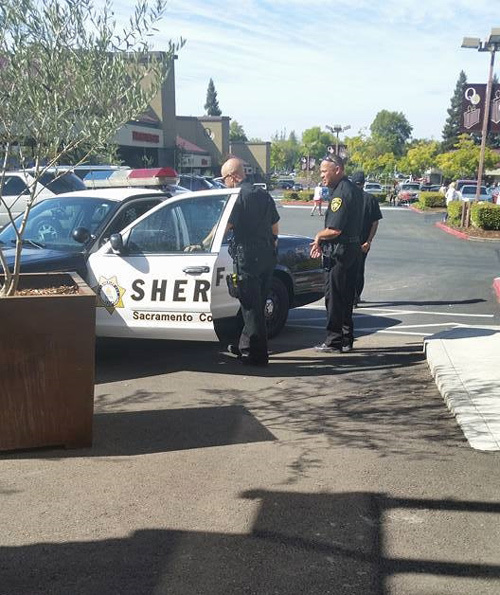 In every instance in which a business called the police on SB277 volunteers, officers have rightfully sided with the petitioners, confirming their Constitutional rights to be on public property collecting signatures. 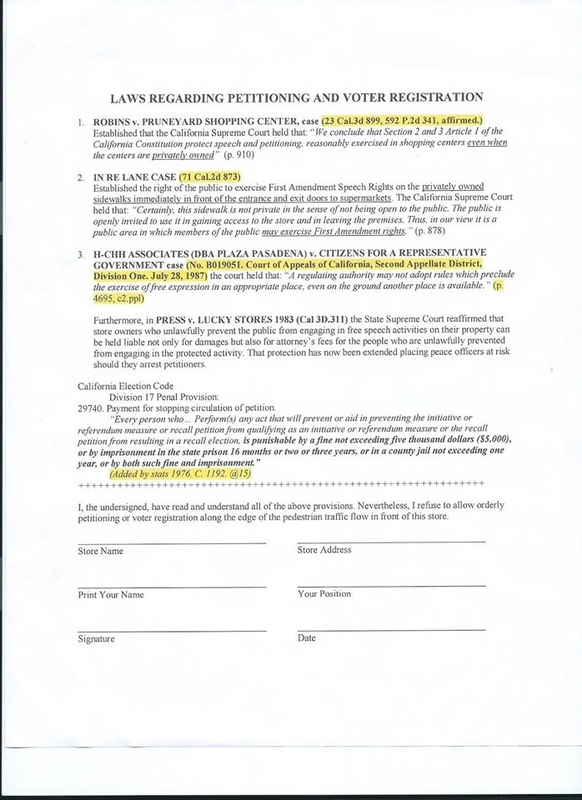 The folks with the #SB277Referendum are encouraging volunteers to "Keep Calm and Know Your Rights," and carry a copy of a legal document stating the law, which you can find here.